‘Graphic design in Russia is in stagnation,’ says Pyotr Bankov, editor of [kAk), Russia’s leading design journal. How can this be in the homeland of the great Soviet designers we hear so much of in the west – people like Rodchenko, Popova and El Lissitzky? The problem, it seems, dates back to the 1930s, and Stalin’s persecution of all who clung to the ‘decadent’ style in graphic design, rather than the new approved school of socialist realism. Russian design drifted into torpid mediocrity, with university courses focusing on technique; students spent years drawing spheres and cubes. Andrey Logvin, whose posters hang in the Tretyakov Gallery in Moscow, and whose graphics have been shown in the Russian State Museum in St Petersburg, worked both under the Soviet system and afterwards. Working in the Graphic Design Studio of the Russian Artists’ Union, he had to submit everything he did for approval to an ‘experts’ council’. 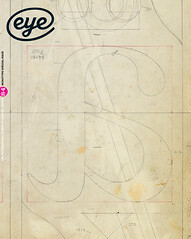 With the fall of the Communist state came a new market for design. Big western ad agencies flooded in, but advertising in Russia was somewhat crude. It took someone from the post-Soviet generation to change the way graphic design was taught in Russia. Alexander Avramov, who set up the British Higher School of Art and Design in 2003, when he was just 23, says he recognised the desperate need for a new approach. Avramov’s plan was to break with the Russian university tradition, hiring only British staff and self-taught Russian designers. The school is now one of the leading schools of design in Russia, with many of its graduates becoming creative directors by the time they are in their late twenties. 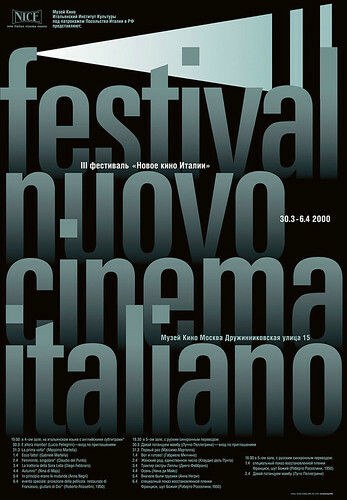 Andrey Logvin’s poster for the Third Festival of New Italian Cinema, for N.I.C.E., Moscow, 2000. 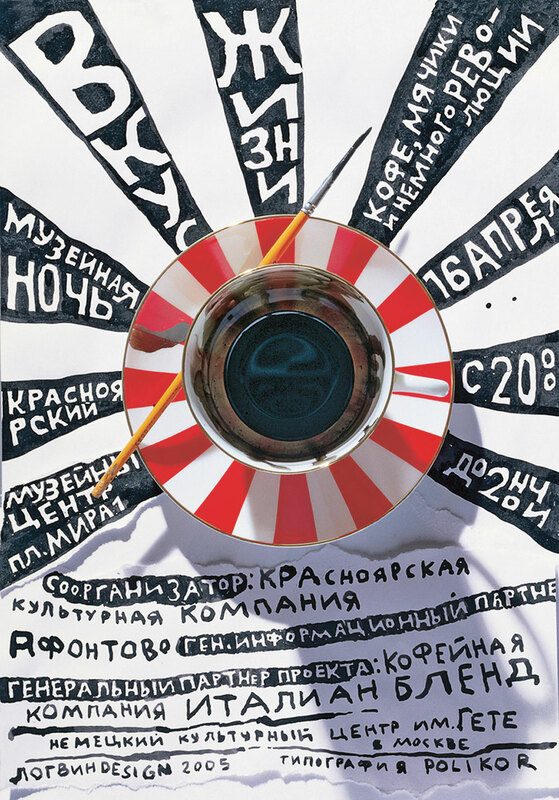 Top: Logvin’s Museum Night Taste of Life, for the Krasnoyarsk Museum Centre, 2005 (which won the Grand Prix at the seventeenth Poster Festival in Chaumont, France, 2006). Course fees for a BA Hons degree are €6250 (around £5000) per year – a good deal less than fees at many British universities – and this, combined with much smaller class sizes than most UK universities, good resources and British teachers, is why Avramov has now set his sights on attracting graphic design students from the UK. The school is privately owned and receives 95 per cent of its funding from student fees. This is just how Avramov likes it – he takes a scornful attitude to support from the Russian state, believing that all state officials are interested in looking after themselves. ‘You can think about such things as art and design and education and the creative development of our whole nation only when you care about the future of the country. It seems that those people are not interested in that at all, they are interested in themselves, their own prosperity, and this is very short-term thinking which undermines everything that the country is trying to achieve. But at the same time, that doesn’t mean that those industries can’t prosper and develop themselves because there is a market which is more or less independent,’ Avramov declares, going on to express his anger at the lack of state support for the creative economy, and particularly for product and industrial design, areas that face real challenges in Russia.